It’s with a sense of great excitement that we are announcing Joyriders’ latest venture amongst the Himalayan Mountains of Nepal. Recognising the thrill that unexploited single-track riding brings to mountain bike enthusiasts, we have decided to expand into an area with some of the highest peaks and one of the most fascinating cultures on earth. We’ve teamed up with a team of the country’s top mountain bikers to bring you the holiday of a lifetime. 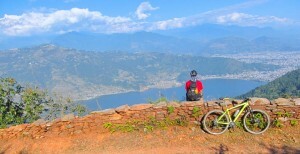 By combining the tried and tested formula of quality Joyriders holidays and the local expertise of the Nepalis, who, like us, live and breathe the excitement of real mountain biking, we’re bringing you the chance of a unique adventure riding virgin single-track in this most varied of high altitude playgrounds. 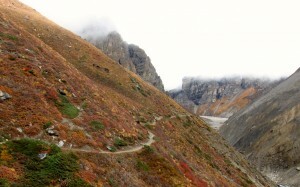 In recent years the high altitude region of the Annapurna Massif has undergone some significant changes in the development of accessible jeep tracks in areas previously only accessible by foot. 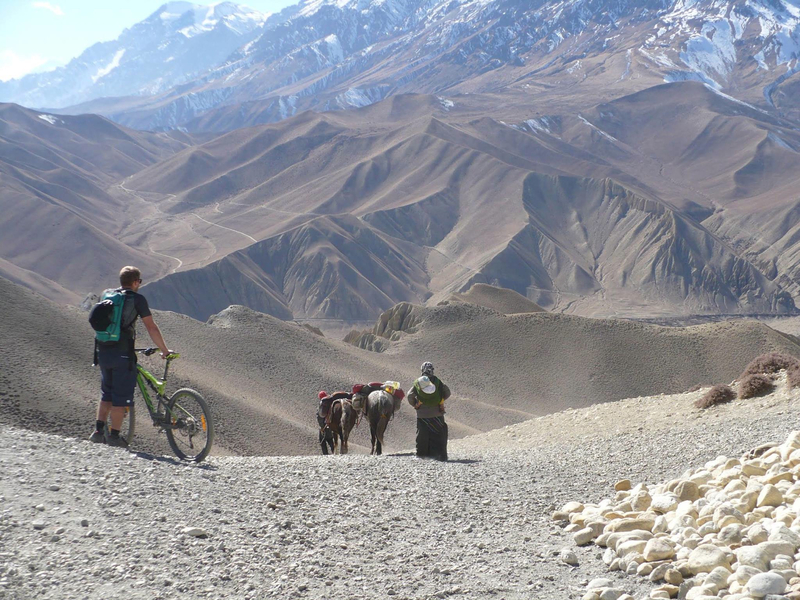 Despite some of the advantages that the relative accessibility brings to local communities, the developments have in fact resulted in negative impacts on the long established trekking industry in the region. 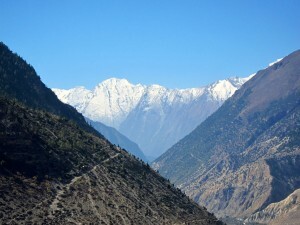 With more and more trekkers seeking to delve further ‘off the beaten track’, numbers of visitors, vital to the region’s economy, have in fact fallen since these developments. However, with the increased accessibility comes new opportunities, not least to the world of Mountain Biking, opening up access to some of the countries finest riding amongst its most spectacular scenery and in turn bringing back much needed visitors to the area. Where we differ to other ‘Adventure Cycling’ experiences on offer in the region is that we understand, as Mountain Bikers, that the quality of the trail is often just as important as its surroundings and that the most direct route is seldom the most enjoyable one. So alongside the amazing experience of traveling in Nepal, make no mistake, we’re setting out to ride proper Mountain Bikes on genuinely enjoyable trails all the while working to bring you that high quality experience you can expect from a Joyriders holiday. 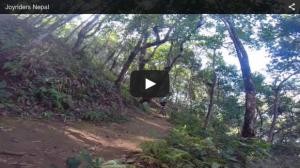 Mountain Biking in Nepal is ready to take off and here at Joyriders we’re strapped in for the ride!